Startup Bootcamp Milan was a two-day, intensive, soft landing program to introduce seven established Dutch fashion sector startups to the fashion ecosystem and the fashion startup ecosystem in Milan. The program was a part of the larger State visit by the Royal Family of The Netherlands to Italy. The Startup Bootcamp Milan programme enabled the seven Dutch fashion startups to learn how to expand and scale their business in the Milanese market. The program was organized by Startup Amsterdam, The Comune di Milano, The City of Amsterdam, Amsterdam Trade and the Consulate General of the Netherlands in Milan. It provided the participating startups with practical valuable information and know-how from industry experts, lead users, buyers and peers. Startup Bootcamp Milan offered the participating startups workshops and sessions on soft landing in Milano/Italy (including advice on legal/recruitment/financial practices); networking opportunities and one-on-one meetings with Italian launching customers and organizations in the fashion, design and creative sectors; meetings with senior business leaders in Milano’s fashion, design and creative industry; business development and Marketing/PR; pinning down cultural differences; visiting a selection of fashion innovation hubs; knowledge of distribution channels, e-commerce, buyers and agencies; meeting with buyers from leading Milanese fashion stores. The program started at Palazzo Marino on Wednesday 21st June where the Dutch startups were welcomed by Comune di Milano delegates and the Consulate General of the Netherlands in Milan. Afterwards, a series of industry leaders from major Milanese fashion actors conducted presentations. Aleksandra Jevdjevic from Sistema Moda Italia Guffanti Concept gave the Dutch startups an overview of the Milanese fashion market, the growing trends and segments in the fashion market and the structure of the Milanese fashion industry. Matteo Pasca, Vice President, Piattaforma Sistema Formativo Moda then gave an overview of the important element of fashion training in Milan and its structure, the fashion training culture of Milan and in-depth trends in the footwear industry. Mariagrazia Berardi, from CNA Milano gave a talk about the specialized Italian fashion production line in Italy, the importance of the structure of the Italian fashion production industry, subcontracting in the Italian fashion industry and the development of a sustainable supply chain. 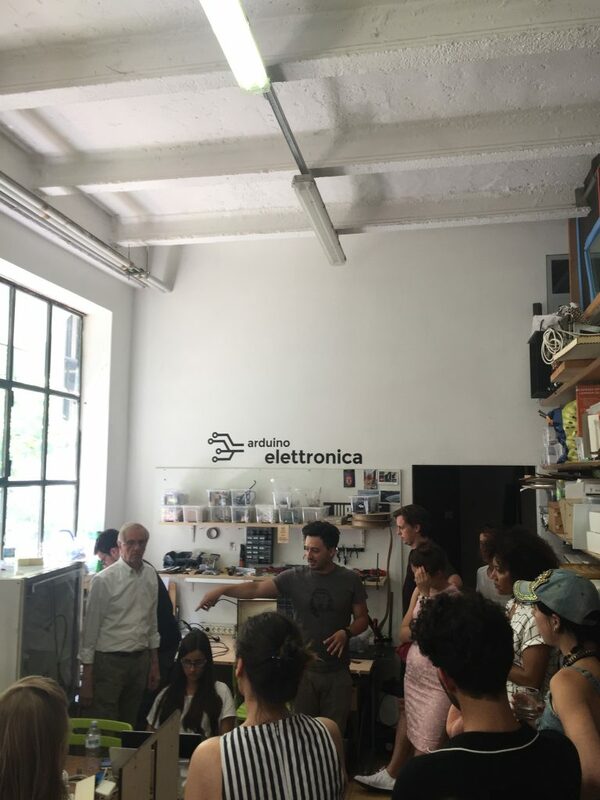 The next element of the program was at WeMake, the innovative Milanese fablab. 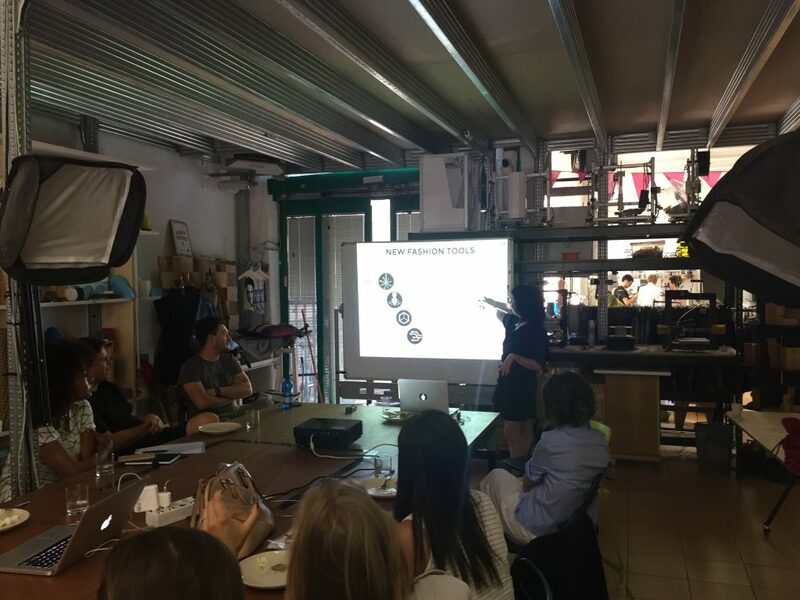 At WeMake, Zoe Romano, Co-founder of WeMake explained the fablabs’ services for fashion startups and their innovative manufacturing fashion projects, the importance of fablabs in the fashion sector and the circular economy. The startups were then shown the fablab’s cutting-edge equipment including their 3-D printers, laser cutters and specialized textile and materials fashion sector equipment. The group then moved to the renowned Istituto Marangoni where the group attended a seminar explaining new trends in fashion sociology, the importance of branding in fashion and a Q & A session with members of the Fashion Business Program Leaders. In the evening, the group attended a networking dinner as a part of the State visit. At the dinner, the group networked with Dutch businesses, Italian businesses and Italian organizations in the fashion sector. 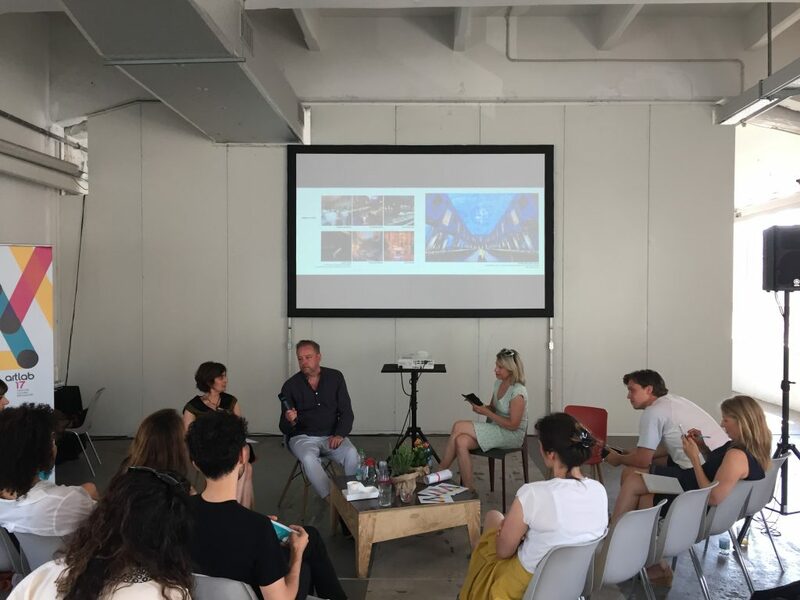 The second day of the Bootcamp, Thursday 22nd June, started off at BASE Milan in which experts from Without Production and renowned fashion stylist Michael Dye discussed the important role of runways, events and style for developing fashion startups in Milan. The following session was conducted by Raffaella Imo and Lorena Nodari from the fashion organization WHITE. 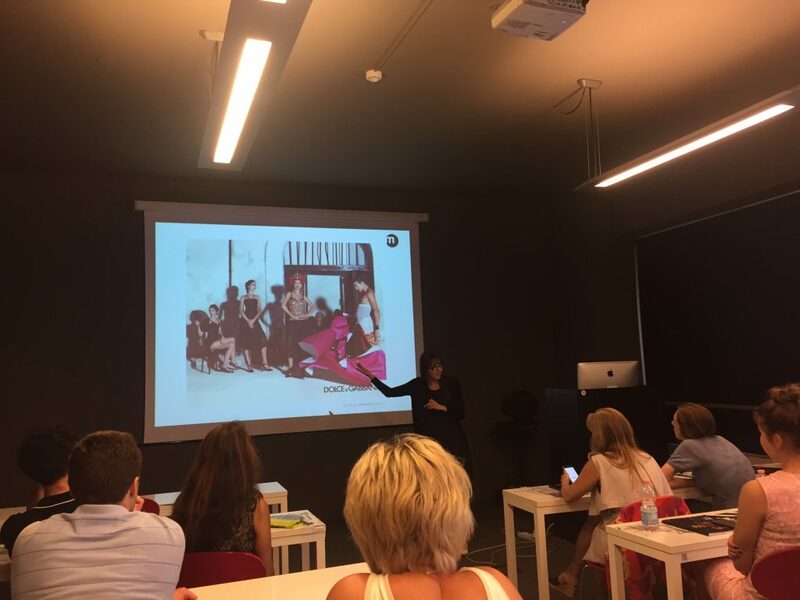 The specialized session covered distribution channels in the Milanese fashion industry, strategy and promotion in Milan’s fashion industry. The third session of the day was led by Giusy Cannone, Managing Director of Fashion Technology Accelerator. This session was firstly comprised of an in-depth overview of the fashion startup ecosystem of Milan, its main actors, incubators, accelerators and events. Afterwards Giusy Cannone indepthly explained the trend of fashion startups and the utilization of technology in production and the important topic of the fashion market and technological advancements and disruptions. In the afternoon, the group discovered the Milanese fashion market by going to some of the most important fashion stores in Milan and meeting with the stores’ buyers and owners. The group went to meet and network with the buyers from the acclaimed Biffi store and get to know the market hands on. After Biffi, the group moved on to another important Milanese fashion store, La Rinascente to meet with buyers and get to know the process of entering the La Rinascente market and thirdly moved onto the important Concept Store, Corso Como 10. 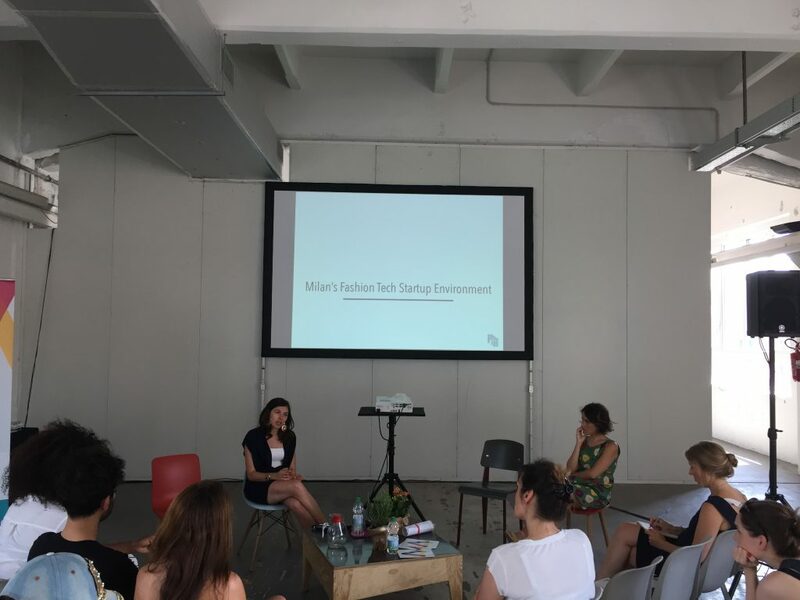 To end the Startup Bootcamp Milan, the group attended Fashion Café and were met by industry experts, media, bloggers and PR to network and make connections to enter the Milanese fashion market. The Startup Bootcamp Milan soft landing program provided the seven Dutch startups with a large concrete network of connections which can enable them to enter the Milanese fashion market and helped them to gain practical understanding of how to expand and scale their businesses in the Milanese market.